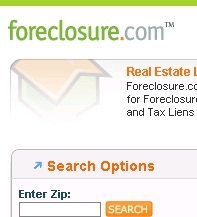 Foreclosure.com has a great new affiliate program. Partners can earn at least 25% of the fees paid by each subscriber who signs up from a link on their site. Also, you can earn recurring commissions on subscriptions you refer so you can continue to make money off accounts that remain with foreclosure.com. There are no long term commitments, so affiliates try our program out for free. We also allow you to monitor your revenue with a monthly traffic statistics report and commission tally. The creative banners and text links are provided to you, making it really simple for you to build an easy and profitable relationship with foreclosure.com. The direct link to our program is http://affiliate.foreclosure.com/index.htm, feel free to check it out.